Hi, I am Artem, professional DJ with 14 years of experience in club and corporate events and weddings. 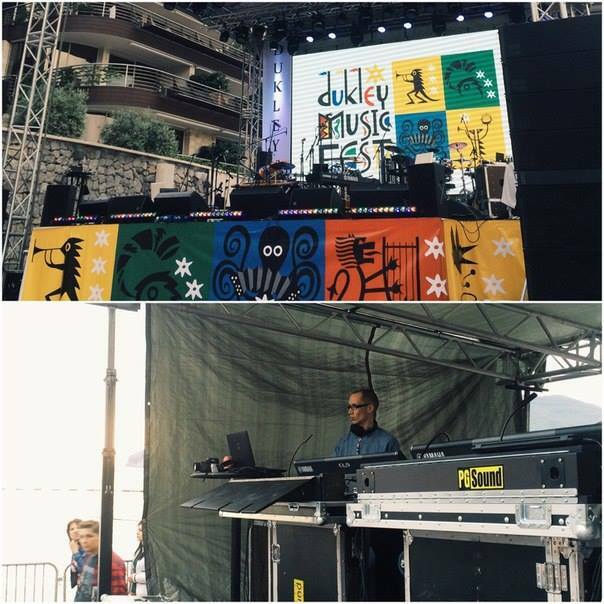 Now I live in beautiful Montenegro, open for touring worldwide. I've become interested in DJing as soon as I could consciously listen to music, making my first cassette compilations at pre-school age. Was a DJ on all the school dances and had my first performance at a night club in 2004. My name has gradually become one of the most demanded in Arkhangelsk (my Russian hometown) and broader. 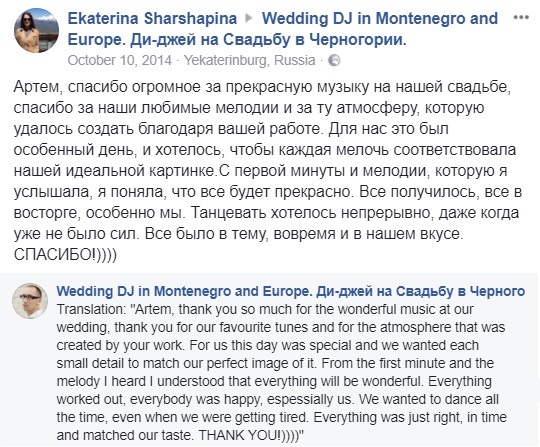 I've tried myself as a wedding DJ in 2012 and, after great reviews of the newly-weds and their guests, started to develop in that direction. I always upgrade my skills and equipment to meet the highest standards, studying online at the best musical universities and playing music in lossless and CD quality. My goal is to create the happiest and sincerest emotions with my music and I am glad to have a chance to do it at your celebration!